Harold C, Landers, 82, of Wampsville passed away on Sunday September 16, 2018 at Oneida Hospital. Harold was born on February 7, 1936 in the City of Oneida, to Harold L. and Gladys (Betsinger) Landers. He was a graduate of Oneida High School Class of 1954. He attended Mohawk Valley Community College. Harold was a veteran of the U.S. Army, having served with the famed 4thArmored Division in Germany, 1959-1960. Harold married Fay M. Rice on January 26, 1963 at St. Patrick’s Church in Oneida. Harold was employed for 24 years with Warren Brother’s Company, Construction Division of Ashland Oil Inc. and Served as District Treasurer of their New York and Pennsylvania operations. In 1977, Harold was elected to the office of Madison County Treasurer. He subsequently was re-elected 7 additional terms and retired in 2007 after serving the residents of Madison County for 29 years. 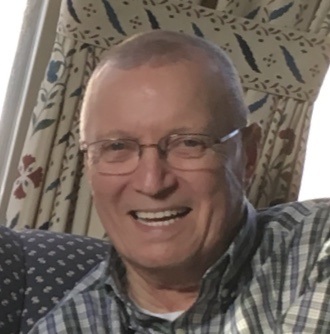 Harold was a former Chairman and Treasurer of the Madison County Parks Commission, a member of the Central New York Regional Planning and Development Board and a member of the Town of Lenox Assessment Review Board, He served as Madison County Budget Officer for 25 years . Harold was a resident of the Village of Wampsville for 50 years where Harold served as Village Clerk/Treasurer, Trustee, Budget Officer and Deputy Mayor. For many years, Harold was an active member of the Wampsville Volunteer Fire Department. In addition, Harold was formerly a member of many professional and business organizations. Harold was a life member of the E. Bart Hanifin Council 473 Knights of Columbus. Harold was a communicant of St. Joseph’s Church in Oneida where Harold served as an ardorer for St. Joseph’s Perpetual Eucharistic Adoration Apostolate. Harold was predeceased by his wife of 52 years, Fay (Rice) Landers, parents, Harold and Gladys Landers and brother in laws Jerden E. Genge and Frederick Preston. Harold is survived by his three daughters, Kelley Segal of Wampsville, Paula (Patrick) Tayntor of Oneida and Bobbie (Lance) Roehm of Apex, North Carolina; two sisters, Marilyn Preston, of Zephyrhills, Florida and Merna Genge of Oneida; twin grandchildren, Sarah (Colby) Fisher and Stephen Segal of Oneida; grandsons, Patrick (P.J.) Tayntor of Oneida and Matthew Roehm of Apex, North Carolina; and several nieces and nephews.